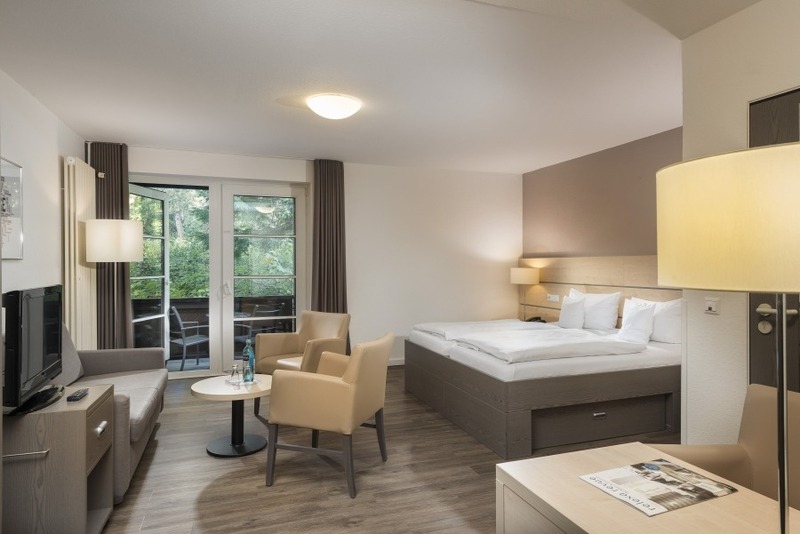 The larger comfort double rooms are about 32 square meters and are often used as a family room. They also have a comfortable seating area with sofa bed. The balcony has chairs.